Yes, Model 3 production is still ramping. With all the turmoil surrounding the efforts of Tesla CEO Elon Musk to take the company private, the intense scrutiny that production of the Model 3 has been under for months seems to have lapsed a bit. Still, the number of cars coming off the line seems to be continuing to grow even while out of the spotlight, according to an Evercore ISI analyst George Galliers, who just toured the factory. More on Tesla Model 3 production. In Model 3 Production Push, Tesla Adapts Vehicle Testing ... Is It Unsafe? "We are incrementally positive on Tesla following our visit. We have confidence in their production. We did not see anything to suggest that Model 3 cannot reach 6k units per week, and 7k to 8k with very little incremental capital expenditure." The electric automaker had hit a then-record high of 5,000 copies of the mid-sized sedan during the last week of June. Though expectations were that the stock would rise after reaching that threshold, it did not, as many were convinced the output was limited to a one-time all-out effort. It was only later in August, during the financial call with analysts that Musk revealed production had hit that same mark in at least two weeks in July. This, along with other positives from that call, brought share price up significantly ahead of the "going private" tweet that then spurred on a short-lived price spike. 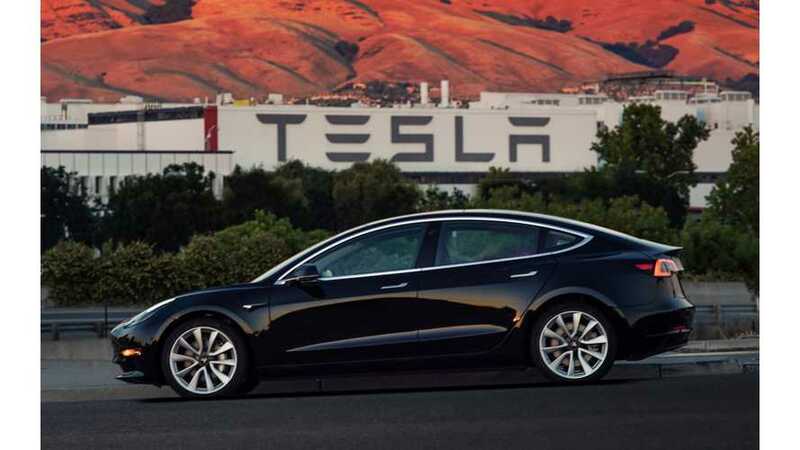 The production goal for the Tesla Model 3 for 2019 is 10,000 units per week. That translates into an annual rate of 520,000 of the all-electric car. By comparison — an imperfect one, since it isn't sold in Europe — the Toyota Camry moved 462,318 units in the United Staes and China last year, or 8,891 units per week.